Toro’s standard of excellence in irrigation systems has been extended to include a range of subsurface drip systems labelled Rootguard®. 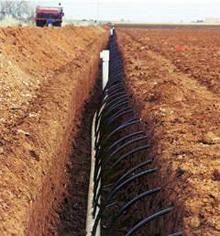 Traditional drip irrigation involves an above ground system requiring winding and constant maintenance. With the advent of Drip-In PC with Rootguard® by Toro, the face of drip irrigation has changed forever. 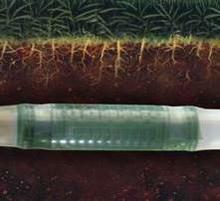 This subsurface drip system is suitable for a variety of residential and commercial applications and represents the most technologically advanced subsurface irrigation system on the market today. The advantage of this method is the ability of the system to deliver optimal water application directly to a plant’s subsurface root area, while preventing roots from clogging the emitters and maintaining the integrity of the soil immediately surrounding them.